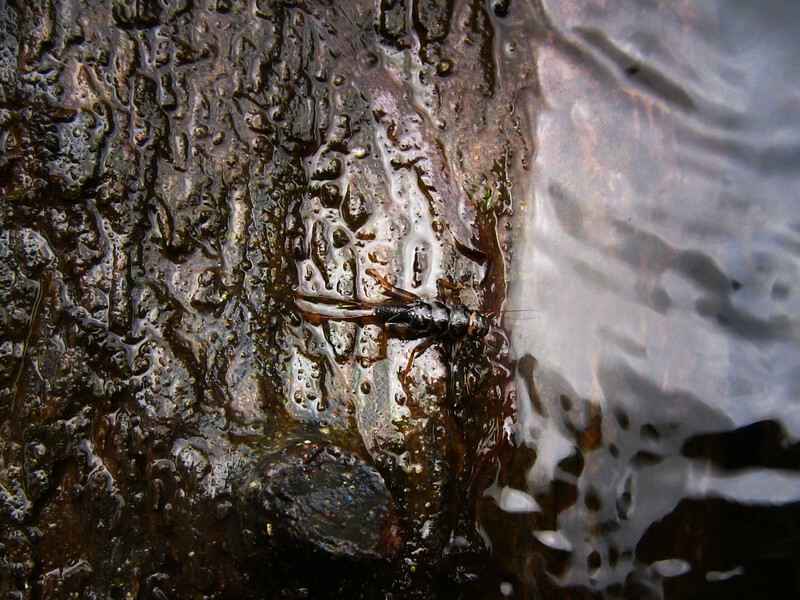 In a New Light: Under the Surface 2015 - Anthony, 16 - "Stonefly on a Log"
"The bug on the log means to me that you can be lonely and not have anything, but all you need to do is jump in and you can have a lot more. You can start to get more respect and start to succeed in life. It's kind of like if you go all in; what is there to lose in life? Maybe a friend or two, but that's all, and you can always find new things - if you live your life one step at a time it will become better."